Don’t bring a Mantis to a Mantis fight? Playtime Season 4 continues with Episode 4: “The Duel”. The competition for Red’s love begins! Featuring Greenskull as “Dan” and Dust Storm as “Dustin”. 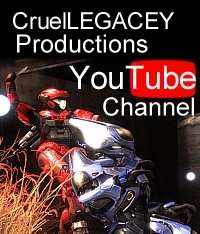 Video | This entry was posted in Episodes, Halo 4, halo reach, Playtime, Video and tagged halo 4, machinima, playtime season 4, season 4. Bookmark the permalink.